OCNA Blog note: The OCNA blogger (what’s his name) calls in near the beginning of the show. He still hates the sound of his own voice, but he is getting better at calling into Geocaching podcasts. After he bids farewell, another caller talks to James for most of the rest of the show. 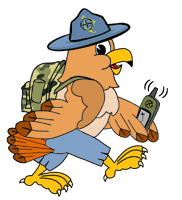 Hikerjamz Geocaching Talk Show is a proud member of the Tech Podcasts Network. We have a new episode every Saturday at 3:00 pm. Eastern (New York) time here on Blog Talk Radio. We will discuss news, events, different types of caching tips and tricks and from time to time we will have a special guest visit our show. Hikerjamz Geocaching Talk Show is sponsored by CacheFace.com which is a dedicated social network for geocachers to connect and share in their caching passion globally and in real time. All Geocachers are welcome to join for free. To learn more about Geocaching, go to geocaching.com/guide and find the Q&A’s on what geocaching is all about. Thank you in advance for listening to our show. Host: Hikerjamz from Ohio. Don’t forget to like us on our show page!